The gym is a place where people do something do their body, that they first probably don’t like. If you want to grow muscle, you have to do something that damages you (over time), in order for your muscle to grow in the rest phase. I consistently work out in the gym since 2011, and I’ve experienced a lot of bad practices of people. A lack of experience and being uninformed probably leads to them. Other than the very obvious things you shouldn’t do (crooked back, too much weight and bad movement), there are exercises that you definitely should avoid, since they cause more damage than good. Disclaimer: I cannot guarantee that these information are scientifically correct. These are my experiences and knowledge of studies I read. One of the worst exercises I see every day is this exercise. The main problem with this exercise is that it puts too much tension on your shoulders. If done properly, you can probably minimize the risk. But the key point is, that this is not an effective exercise in relation to its risk. Better do the alternative to pull ups at the machine (same movement, but to the chest, with an upright position). Dips are an exercise that mainly focuses on your triceps, but also the chest. The problem with that is the high tension on your shoulders. So if you have problem with your shoulders, you may exclude this exercise. Especially because you are supposed to keep your elbows always pointing back (and you should if you want to focus on arms / triceps). You may already see that the shoulder is in an unhealthy position. 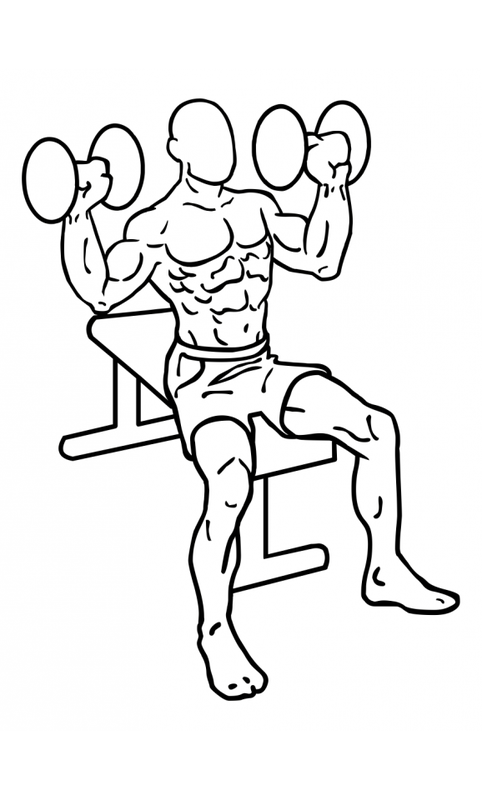 Dumbell shoulder press is not a bad exercise at all. But I mostly see people doing them wrong. If your elbows show too far to the outside, there is too much tension on your joints (same counts for bench press). This is an exercise that definitely has to be shown by a good trainer, if you don’t know the proper movements. This is an exercise that definitely has to be shown by a good trainer, if you don’t know the proper movements. In general, if an exercise does not feel good, don’t do it and replace it. It might not be best for your biomechanics. This means that some people have longer arms and thus might not be naturally good or feel comfortable at bench press exercises. That is because they have a very long range of motion from their body.